Angry Asian Buddhist: Happy Vesak! I was reminded about this holiday by a Khmerican post last night with the photo below. @arunlikhati Happy #Vesak! Will there be a holiday blog post? A couple years ago I did an interview about Vesak with Firehorse, an Asian American who’s doing some incredibly awesome work in Southeast Asia. If you want to learn about Vesak from a unique perspective, then go check out that post. 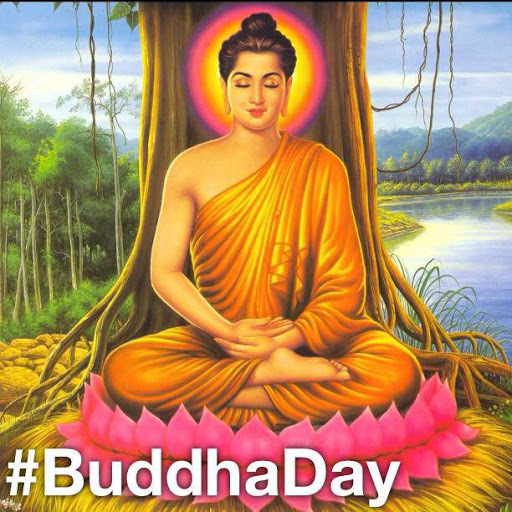 There are a number of different holidays at this time of year to celebrate the Buddha’s birth. In general, the celebration takes place on the full moon day of May, hence this year it’s today. Many Chinese Mahayana Buddhists hold the celebration on the eighth day of the fourth lunar month, which was May 17. (Last weekend, I was at the Southern California Celebration of the Buddha’s Birthday.) Japan, which long ago discarded the lunar calendar in favor of the Gregorian calendar, thus celebrates the holiday on April 8, which is extremely convenient for people who only use the Western calendar. And thanks for the reminder, @MichaelMurphyNY.